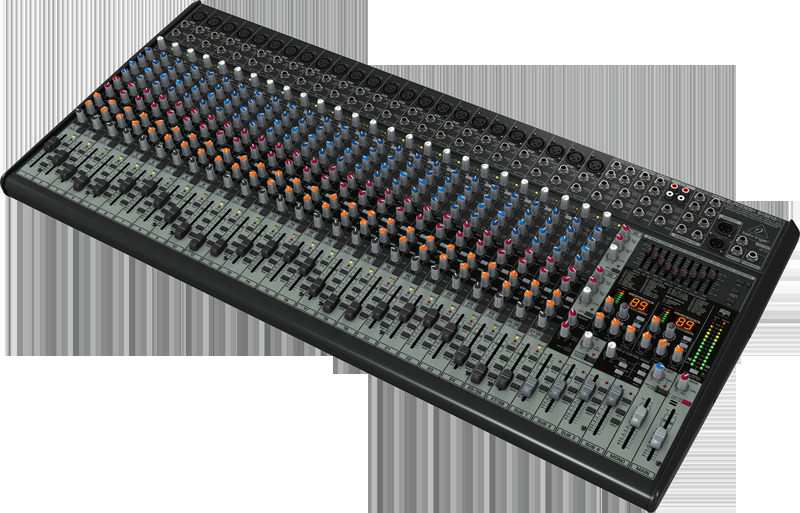 The 32-Input, 4-Bus EURODESK SX3242FX allows you to effortlessly achieve premium-quality sound, thanks to 24 of our studio-grade XENYX Mic Preamps, 2 full stereo channels with 4-band EQ, plus 2 additional sets of stereo inputs channels with Level and Aux controls. All mono channels feature our ultra-musical, 3-band “British” channel EQs, complete with a semi-parametric mid band for the ultimate in sound sculpting. Add to this not one, but two of our 24-bit dual-engine stereo FX processors with 99 awesome presets including reverb, chorus, flanger, delay, pitch shifter and various multi-effects – and the SX3242FX becomes an incredibly versatile mixer for your recording projects and live performances.